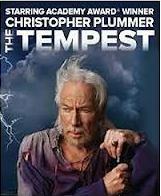 I was disappointed because I think Plummer can rock. His Ralph Nickleby, his work in “Beginners” for example. But in the end, as you can see, I was okay with his performance.